Hey all! I hope you’re having a great day =) We are! “Why?” you ask. Well, it’s a pattern tour kind of thing. 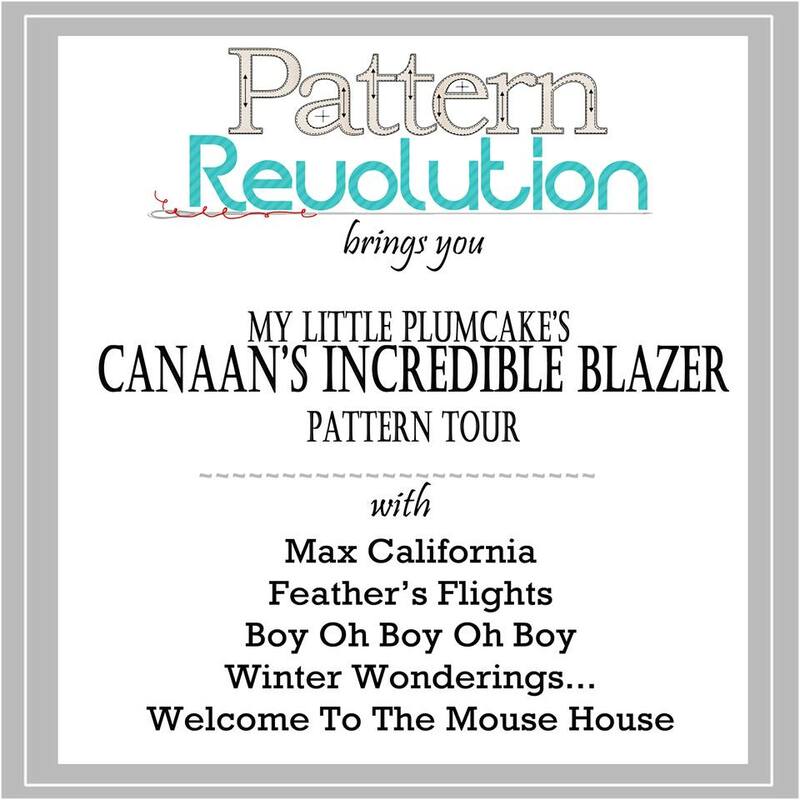 The Canaan’s Incredible Blazer was released in December 2013 and the wonderful gals over at Pattern Revolution put together the most amazing line-up of talented seamstresses and bloggers for a pattern tour. This is a pattern that Michelle is very proud of and that I absolutely loved to sew and my kids love to wear. Here’s the line-up for the tour. Make sure you check them all out…it’s going to be fantastic! If you’d like a copy of the Canaan’s Incredible Blazer, you can pick one up in the Etsy shop here.